How soon can you refinance your mortgage? 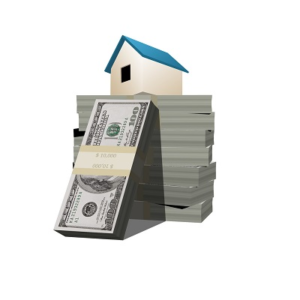 How often & when can I refinance? How soon can you refinance a mortgage after buying a home? There are no restrictions dictating when you can refinance a mortgage – theoretically, you could refinance the same day you close on your original loan. Appropriate timing, when it comes to refinancing, is about money, and strategy. Just because you can refinance soon after closing doesn’t necessarily mean it’s right for you. So how soon can I refinance? When can you refinance your home? Do you have a solid long-term strategy? First and foremost, have you asked yourself why you’re refinancing? Are you trying to lower your rate? Do you need extra cash for home improvements? Are your reasons financially, and logically sound? Can you use the same lender? Depending on how soon you refinance you might not be able to use your current lender. Switching lenders may result in new closing costs, and other fees. If you’re refinancing for a small decrease in interest, calculate to ensure the decrease will benefit you enough. Is the money right? Let’s say you currently have a $200,000 mortgage at 5 percent interest, your monthly payments would be around and $1073.64. If you secured a new loan at 3.75 percent you could save about $147.41, monthly, from a refinance. How does the forecast look? The Mortgage Bankers Association predicts 30-year fixed-rate mortgages will rise gradually over 2017, averaging 4.7 percent in the fourth quarter of 2017. Similarly, the National Association of Realtors anticipates the 30-year fixed to be around 4.6 percent at the end of 2017. Do you have an ARM loan? Adjustable-rate mortgages can be a nice short-term strategy, however after the initial fixed-rate period ends, ARMs tend to increase. Often, it makes sense to refinance to a fixed rate mortgage even if your payment goes up, especially if you plan to stay in your house for a long period of time. Over the past 30 years, the average rate on a 30-year mortgage has been 8.12 percent based on historical data from the Federal Reserve. As we already mentioned above, economists are predicting a rise in interest this year, too. If you can lock in a lower rate and eliminate the risk of having an ARM which could adjust upwards, it is worth paying a little bit more. What is your credit score? How soon you can refinance may be out of your hands if your credit score isn’t high enough. The better your credit score, the lower the interest rate you’ll likely be offered. If your credit score needs improvement, take some time to focus on this before moving forward. Are you able to incur fees? Refinancing comes with a load of paperwork. Each piece of paper may also be associated with a fee: application fees, processing fees, underwriting fees, appraisal fees, and more. It’s wise to understand how many fees you will incur and do the math. Will these all-in costs be a burden to you? Do you understand amortization? Refinancing carries a hidden cost which comes from the way that mortgages are amortized. Amortization is the process of spreading out payments over time and allocating them between paying interest and paying down the loan’s principal. When a loan is relatively new, you pay a great deal of interest and very little principal. As the loan ages, the interest goes down and your principal payments go up as demonstrated in the table on the right. Every time you refinance your home you restart the clock and pay less principal. One way to mitigate this problem is to refinance to a shorter-term loan. For instance, a 10-year-old $200,000 30-year mortgage at seven percent carries a monthly payment of $1,331. If you were to refinance the remaining $171,953 balance for 20 years at 5 percent, you would pay the loan off in the same amount of time and save almost $200 a month based on the new payment of $1,135. If you found a lower rate loan, you would save even more. This makes it take longer to pay off your home. When settling on the final terms for your loan, take this into consideration. Just as you can refinance whenever you want, you can also refinance as many times as you want. While there is nothing particularly wrong with refinancing multiple times, it’s worth asking yourself if you’re being intelligent about your decisions. Are you a serial refinancer with bad business sense? Poor decisions like, refinancing to fund consumer purchases, will offset the benefits of refinancing. Habits such as these should be avoided at all costs. Here are a few more reasons refinancing might not be a smart decisions. If you plan to move soon. If your loan is just a few years from being paid off, refinancing to save money on interest may wind up costing you more time and money than you expected. You will incur the cost of refinancing up front, and may never receive the benefit of the lower rate. Can you wait a short period of time and have the prepayment penalty go away? Can you find a different lender who will offer you a comparable rate without you incurring out-of-pocket costs? If you will be staying in your home for a long time and can take out a no-cost refinance, it may make sense to refi for an even smaller decrease in interest rate. Your new loan will require mortgage insurance. Private mortgage insurance typically costs anywhere from .5 to 1 percent of your entire loan amount. If you’re not currently paying PMI, the additional cost may be burdensome to you. Let’s say your new loan is for $200,000, this could mean an additional $2,000 to your expenses each year. Now that we’ve assessed when refinancing makes sense, let’s explore how to refinance. A more mathematical approach to determine when refinancing makes sense for you is through the use of a mortgage refinance calculator. For an accurate assessment, make educated guesses about the fees you’ll incur with a refinance, the new interest rate you’ll land, how much money you’ll need to borrow, as well as details about your current loan terms. A mortgage refinance calculator will inform you of potential monthly savings, and what future payments might look like. This calculation should give you a good idea of what to expect and if refinancing is a solid option for you. Once you’ve used a retirement calculator to determine loan terms that fit in your budget, it’s time to start asking around. Talk to multiple lenders before making a decision. Credit unions, local banks, and regional banks all offer different products, and often special programs that may benefit you. Don’t look solely on the rate either, sometimes finding a lender that can offer added value like communication and trust can be beneficial for your financial situation moving forward, too. If everything checks out with your current financial situation, and you’ve found a lender you like, let the paperwork begin. Organize your pay stubs, statements, and other specified paperwork to start the loan process. You’ll have the option to lock your rate which means your lender will give you a set interest rate, at a certain price, for a specific time period. Consider asking your lender, in writing, to lock your rate. Sometimes rate locks cost money and sometimes they don’t. After the paperwork has been completed, you’ll pay the closing costs and other expenses indicated on your loan estimate, and the process is more or less complete. Have cash on hand. We’ve spoken about the fees associated with refinancing several times through this article. All of these fees should be listed in your loan estimate, meaning there should be no surprises. Before agreeing to loan terms, double and triple check that the fees are realistic and fair and have the cash on hand to pay for them. Refinancing, when done for the right reasons, and at the right time can bolster your financial situation. Next post: What are points on a mortgage refinance? Previous post: When is it worth It to refinance your home?